After a glorious sweep of the poo poo Giants, the Padres head out to Chicago to face the hated Cubs. We can look forward to Kyle Blanks hitting infinity home runs off of the Cubs pitiful pitching staff. 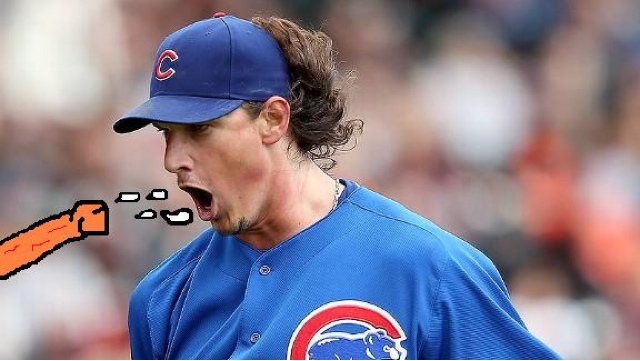 Here’s Jeff Samardzija showing that his skills as catcher greatly outdo his skills as pitcher.